For those of you who love Limited Edition pens, here’s one you just can’t miss! Made upon the great Olympio model from ST Dupont, the Place Vendôme fountain pen is a wonderful writing instrument dedicated to the great column Napoleon erected in Paris. 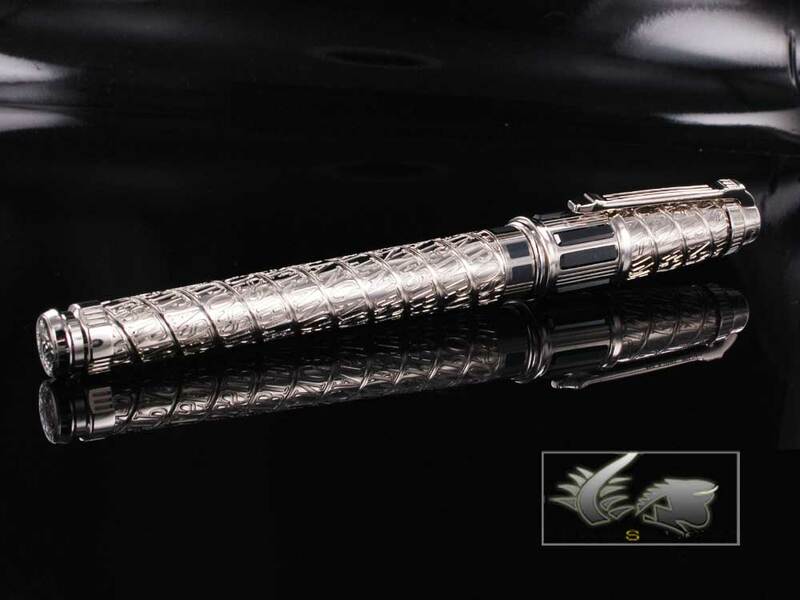 The pen is finished in palladium and has a spiral design to resemble the Parisian monument. The grip also contains the spiral design, and the central ring and bottom part of the cap are decorated with grey lacquer tiles. The entire pen is designed in an architectonic fashion! On the end of the barrel there’s a large V standing for Vendôme, the name of the limited edition. In memorial of the year the monument was built, only 1810 fountain pens were made. Along the barrel you can read Napoleon’s own words: “Impossible n’est pas français!” (Nothing is impossible for the French!). A pen full of history! As usual this pen is available for an excellent price at Iguana Sell, so don’t let this opportunity pass! Get your ST Dupont Place Vendôme fountain pen right away!